The Algarve is known as a popular summer holiday destination for good reason. It has a Mediterranean climate (csa in the Köppen climate classification). This means that summers are warm and winters are mild. The average maximum temperature is 16 degrees Celsius (61 degrees Fahrenheit) in January/February and 29 degrees Celsius (84 degrees Fahrenheit) in July/August. 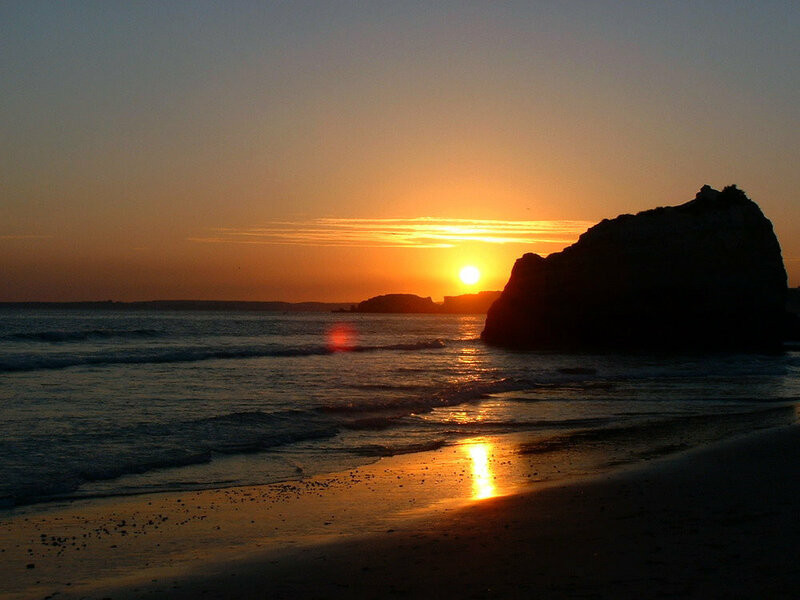 The Algarve has around 3000 hours of sun per year and over 300 days of sun per year. This makes it one of the sunniest regions in Europe. The climate in the Algarve is a bit more dry than in other parts of Portugal. In the interior of the Algarve, it can be really hot and dry, due to the absence of wind from the sea. This sometimes leads to forest fires. The east of the Algarve is usually a bit hotter and drier than the west of the Algarve, because of the influence of the Atlantic Ocean in the west. Most of the rain in the Algarve falls in the period from November until the end of March. The summer is usually quite dry. In the winter it rarely gets below 0 degrees Celsius (32 degrees Fahrenheit) and it rarely snows. The sea water is around 20 degrees Celsius (68 degrees Fahrenheit) in summer and 16 degrees Celsius (61 degrees Fahrenheit) in winter. Because of the influence of the Atlantic Ocean and Mediterranean winds, the sea water is generally warmer in the east of the Algarve than in the west of the Algarve. Below you can find more information about the climate in the Algarve from the Portuguese Meteological Institute. The Algarve is a big region and these are average numbers. This means that deviations are possible locally.